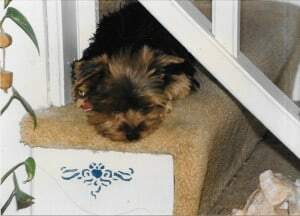 Many moons ago, back in the day when no one thought twice about buying dogs in a pet store, and most people had never heard of a puppy mill, I bought my first pure bred dog. I have had dogs all my life but this was the first dog I ever got on my own. 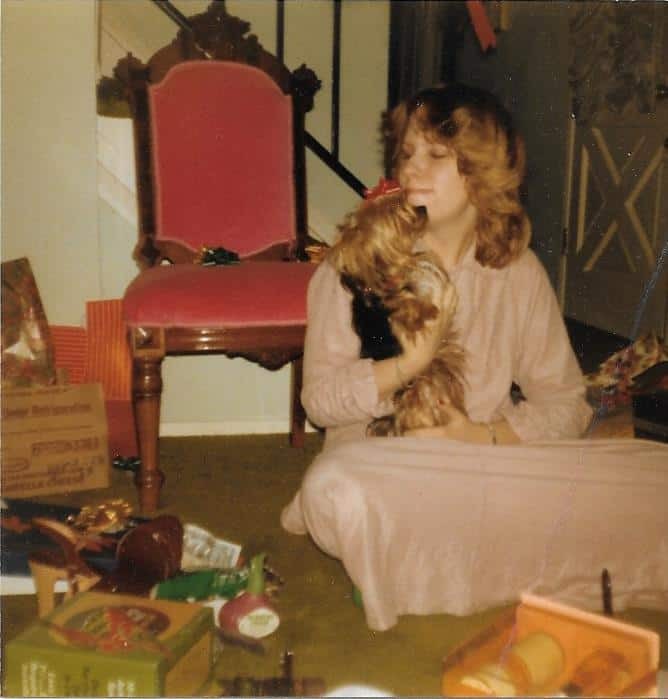 I was a teenager and Ernie, my little Yorkshire Terrier became the love of my life. Although he was a pet store dog, he was actually a really good specimen and I began to enter him in dog shows. He won some and lost some. He did exceptionally well in Obedience Shows. Soon, I decided I wanted to get a female and breed them. My boyfriend at the time bought me a sweet little female named Chassie. He got her from a breeder and although she wasn’t show material, she had a wonderful disposition and intelligence that I knew I wanted in my puppies. So I bred them. And had puppies. My family kept a few, but most of them I sold. I was careful about who got them and even turned away a few people who I didn’t think would be good pet parents to my precious babies. Do you know why I finally stopped? I went to a dog grooming school, graduated and got a job as a pet groomer. 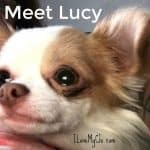 I decided to offer my services free of charge to my local SPCA to help make the dogs there “pretty” and more adoptable. It didn’t always help and it broke my heart to know dogs that I had spent time with and had grown to love, were euthanized because nobody wanted them. I just couldn’t bring myself to bring more dogs into the world, when so many of them needed homes. 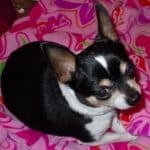 The decision was finalized when Chassie’s last delivery had complications and if not for the quick actions of my veterinarian, and the emergency surgery he did, she would have died. Even if I wanted to, there would be no more breeding of Chassie. I make it sound like she was bred numerous times but in actuality, it was only a few times. I had planned to find a stud for one of her daughters that I had kept, but I immediately got her spayed. This is one of the puppies I kept. Her name was Amber. So as time went on, it seemed dogs in need of rescuing just kept popping up into my life. Some were lost dogs and I helped find their owners. Some were abandoned and I either kept them or found homes for them. It’s been going on this way for the last 20 years. In fact, that’s how I got Kilo, my first Chihuahua and fell in love with this breed. You can read the story of how I got her here: Kilo’s story. Now I can say I have been on both sides. I have been a breeder and I understand the need for breeding by people who will strive to improve the breed and are not just in it for the money. However, I will never breed again. 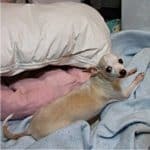 I have to say here that I often see the controversy ignite on our Facebook page between the rescuers and the breeders. Some people get mad that I allow people to show pictures of their newborn puppies. I try to explain that the Facebook page (and this site) is not for being militant against one side or the other. 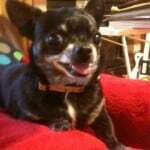 It is for Chihuahua lovers to be able to share their Chihuahua stories, photos, problems and lives with each other. There are plenty of very good Facebook pages dedicated solely to rescue dogs. That’s not what I choose for our group to be. I do however support adoption and rescue and try to share the posts about dogs who need rescue. But I will not judge those who choose to breed their dogs. That’s their decision, not mine. And I think of it this way. 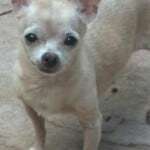 If all those who really love the Chihuahua breed stopped breeding their dogs, then the only ones left would be the puppy mills. And no one wants that! I will start by saying that I have nine dogs. Some were purchased from private breeders but the majority are rescues. I do not breed my babies. For be it would be to hard to part with them so I would never be able to adopt them out, but that is my choice. Ido think that people should consider going to their local shelter first, see what us there and then make a decision as to where to get their dog. Some people are active in shows and they require purebred dogs in order to compete. I just asked that you make an informed choice before you get you dog. 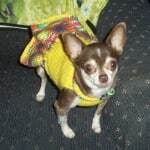 I have one Chi from a breeder after having a precious chi stolen from me. This current little guy has birth anomalies including a short lower jaw. He’s been through painful dental as a result. I don’t regret my purchase as he is my life and I gave him a good home. My second chi is a rescue but not from a terrible situation. A mom of a toddler felt her boy was just too rough with the chi. She was very choose as to where my new guy would go. My third is a chi cross that was rescued from a high kill shelter in Southern California. The rescue organization I went through is the best in my opinion. I do not support pet store purchases but if the breeder does not “cull” the undesirables I have no qualms purchasing a pure breed. I think every pet owner should consider rescuing at least one and fostering if they can. It breaks my heart that so many unwanted dogs are euthanized especially the senior dogs thrown away after years of loyalty. Please support rescue groups financially. I look forward to the day that only no kill shelters exist. My baby gidget is 5 years old.